Stonetree Landscapes was founded by Ben and Sam Corah, two brothers with a passion for gardening, landscaping and all things to do with enhancing a home’s beauty from the outside. Based in Melton Mowbray, Leicestershire, Stonetree Landscapes is at the heart of rural England and the perfect location to serve the Midlands and wider area. We will listen to your ideas and expectations, be they the look of your garden or how you would like to use your space. By discussing your options, we will help to deliver the outside space that’s right for you. At Stonetree Landscapes, we can provide you with a new patio, driveway, a bit of landscaping, or all three. Take a look below to find out a little bit about Stonetree Landscapes. If you want to have a quick chat or would like us to pop by your home, please feel free to get in touch and we'll arrange to visit at a time to suit you. Ben comes from a gardening and landscaping background, starting from humble origins working behind the till at a garden centre, to becoming a self employed and successful landscaper and garden designer. Bens first major appearance was in 2013 at BBC Gardeners World Live, where his first ever exhibition won a RHS silver gilt Medal. More recently, Ben was awarded a RHS Gold Medal for his exhibition at the 2014 show. 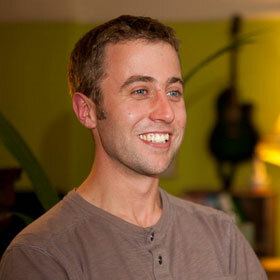 Building on his success, Ben has helped home owners turn their ideas into dream gardens. 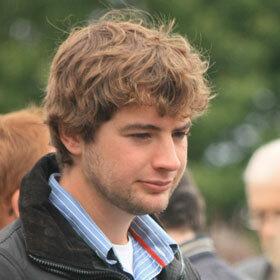 Sam comes from a civil engineering and surveying background with a keen interest in sustainable hard landscaping. Sam has spent years designing external layouts for domestic and commercial clients, helping to make the most out of their available space. With more of a technical and engineering background under his belt, Sam offers the practical knowledge and expertise that will ensure any hard landscaping, such as your driveway, will serve you well for a very long time.